The cedar siding for our tiny house on wheels is going up! Our tiny house is all boxed in! We have finished laying the wooden floor on our tiny house trailer! Our tiny house trailer has arrived!! We’re installing our brand new and homemade entrance door! We are building the french doors for our tiny house! The benefits of double glazed windows and why they also make sense in Australia! Our tiny house deck is finished! Make the most delicious and healthy bread in just one hour!! Learn about the health benefits of sauerkraut and how to make it yourself! Make a tasty pesto from carrot greens and reduce organic waste at the same time!!! 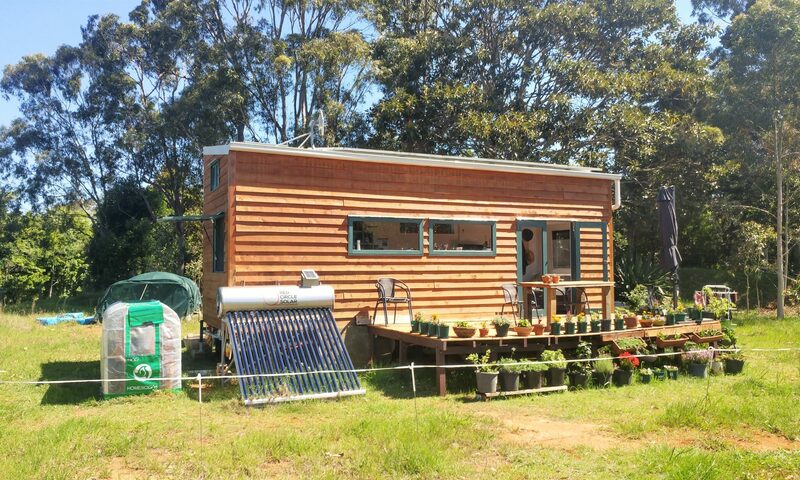 Living tiny and green – What are the benefits for us?